We care for both your health and the environment, and use eco-friendly cleaning products in all of our work. Our team will bring along the right equipment and cleaning detergents to remove stains and pollution signs from your property’s hard surfaces. 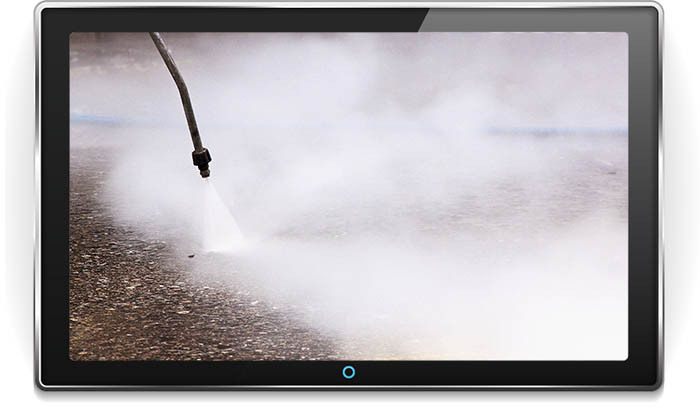 AquaBlast is a mobile pressure washing and jet washing company providing a full range of outdoor cleaning services throughout Mansfield, Nottingham, Derby and the East Midlands. We also specialise in factory and industrial cleaning. We are available for regular or one-off cleaning at homes and business premises – keeping your property in good condition and helping to protect against future staining or damage. AquaBlast provides honest, reliable, punctual and value for money services for domestic and commercial customers. We offer highly competitive rates for great quality results. Pressure washing and jet washing is ideal for a huge range of home and business maintenance jobs, including gutter and roof cleaning and restoring decking to its original glory. 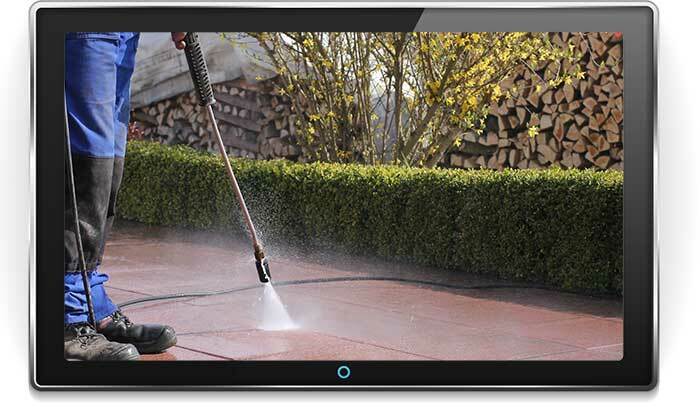 If your property has started to look faded and run down, treat it to a new lease of life with an AquaBlast deep clean. 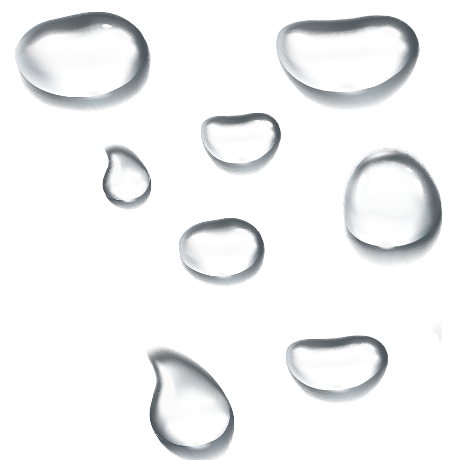 Many of our services also include applying specialist protective sealants. We pride ourselves on being polite, professional and punctual as well as providing excellent cleaning results. AquaBlast provides effective graffiti removal services to local councils, businesses and homeowners throughout the Nottingham, Derby & East Midlands area. 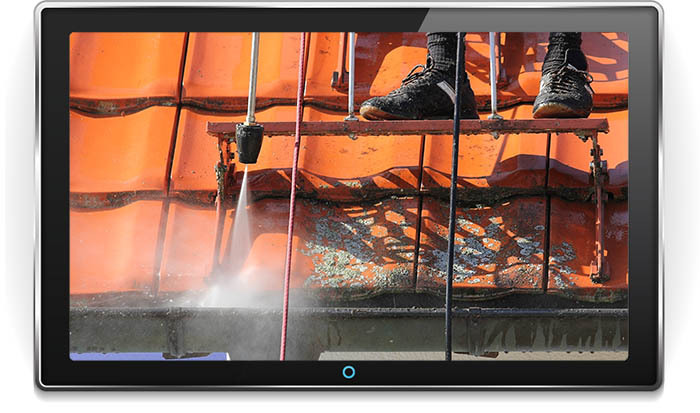 AquaBlast provides specialist chewing gum removal in order to avoid long term staining and damage on your surfaces. We provide guttering cleaning services for commercial and domestic buildings throughout Mansfield, Nottingham, Derby and the surrounding areas. AquaBlast technicians have the expertise and equipment to carry out cleaning services specifically designed for historic and listed buildings throughout the East Midlands. Our pressure washing will bring the colour back to your driveway, getting rid of all the staining and dirt build-up. We clean driveways around Nottingham, Mansfield, Derby and the East Midlands. AquaBlast’s equipment and products degrease and sanitise all surfaces to ensure you comply with all OHS and HACCP health and safety regulations.